We’ve come to expect our devices to work flawlessly, rendering any hiccup in performance or reliability more than a minor inconvenience. Here are six tools that will help prep and maintain your Windows hard drive or SSD PC for long-lasting, fast and stable performance. Our flagship award-winning HDD defragmentation and SSD optimization software is a must if you want to maintain your hard drive (or SSD) for lifespan-extending and sustainable speed and performance improvements. File and free space fragmentation are inevitable. As time goes on, all the file downloading, access, editing and deleting you do results in chunks of free space scattered all over your disk (the way your system sees it), which results in slower write times and extended wait times to access files and applications. Symptoms: Have you ever waited for a program to open or to save a file? Exactly. 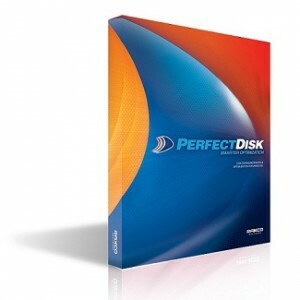 PerfectUpdater solves the problem of outdated drivers wreaking havoc on your computer’s performance and it only downloads original manufacturer drivers to ensure you’re safely downloading from the source. All the hardware and software that comprise your PC require up-to-date drivers that help your system communicate with these components in order for your PC to operate flawlessly and reliably. 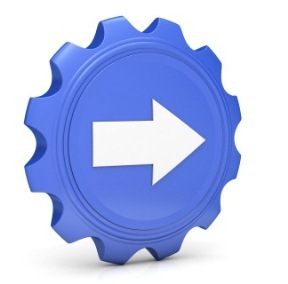 The problem is when a new update is available for a driver and your system does not recognize this or the manufacturer doesn’t notify you of this update – which is not uncommon – the hardware, software or device connected to this driver can stop working correctly or lose functionality altogether. Symptoms: Have you ever lost your speakers, audio or wifi for no apparent reason? Bingo. Yes, you see the word “defrag” and you think, “Isn’t that what PerfectDisk’s for?” and you’d be right. That’s because PerfectRegistry defragments and compacts the Windows registry, an area that is off-limits to PerfectDisk’s file and free space defragmentation solution, but equally important, when it comes to performance and speed. The Windows registry is where your system accesses your Windows configuration settings. Windows and programs are constantly querying the registry for information. Over time, the registry becomes internally fragmented from the addition and removal of registry entries and the registry ends up with a lot of blank cells. 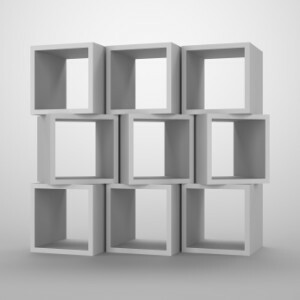 When new items are added to the registry, these blank cells remain unused, causing the registry to grow much larger than the size of the actual data it holds, resulting in slower boot time, slower system operation and slower application performance. Defragmenting the registry, compacting it and eliminating the bloat for faster system access to your Windows configuration settings results in faster boot time and registry errors are eliminated, improving general Windows operation. Symptoms: Slow system boot, strange error messages, even system crashes. Do you have a recovery snapshot of your system in a pristine and trusted state that can recover your important files in the exact state as they exist as you read this? Enter InstantRescue. 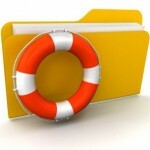 InstantRescue is an insurance policy against system failure and data loss. Symptoms: No symptoms required. One question: Are you prepared for a Windows failure? PerfectGuard blocks spyware in forms ranging from keyloggers to webcam hackers – any malware designed to monitor and record your every move, whether it’s what you type into your keyboard, view on your screen, copy and paste to your clipboard or what your webcam can see. Sometimes a phishing email can appear legitimate enough to fool even the most vigilant among us. PerfectGuard is an additional layer of security that complements your antivirus solution to close off the vulnerabilities in your existing security software, blocking zero-day malware so new most security software can’t even recognize it. Symptoms: Sadly, most victims of spyware may not even know they are being monitored until it’s too late, after banking, email and credit accounts have already been compromised, resulting in identity theft or worse. 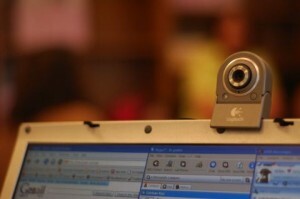 One clue would be if your webcam indicator light goes on even when you’re not using it, though some webcam hackers can view everything through your webcam even when the light is off. PerfectFileRecovery is the most advanced deleted file finder, able to locate long lost files other file recovery programs can’t find – even accidentally deleted documents that don’t have a name attached. PerfectFileRecovery can find more file types than any other recovery software and it also allows you to preview your lost files before attempting to recover them, so you don’t need to purchase a license in order to discover the file you wanted to recover was not the one you hoped it was. This also goes for music and video files: the LivePreview feature allows playback of audio and video files before you recover them. Symptoms: Ever delete a file only to need it at a later point? This is your best chance of finding it again.